Lewis Quran Martin Holloway (born March, 6th, 1993) a.k.a. Lew Salem, is a San Diego rapper and producer. Raised in San Diego, CA, Lew began writing and rapping in 2014 under the stage name Dino Brown, releasing one mixtape under the moniker in December 2014 before making the switch to his current stage name. Under the new name, inspired by the street he was raised on, Lew continued to develop his lyrical ability, as well as his production skills, eventually self-releasing his debut album Shambles in February 2017. The album was supported by a short video for “Black,” one of the album’s stand-out tracks. From there, he released a steady stream of singles, most notably the song “Trials,” produced by fellow San Diego producer Kira and released in June 2017. 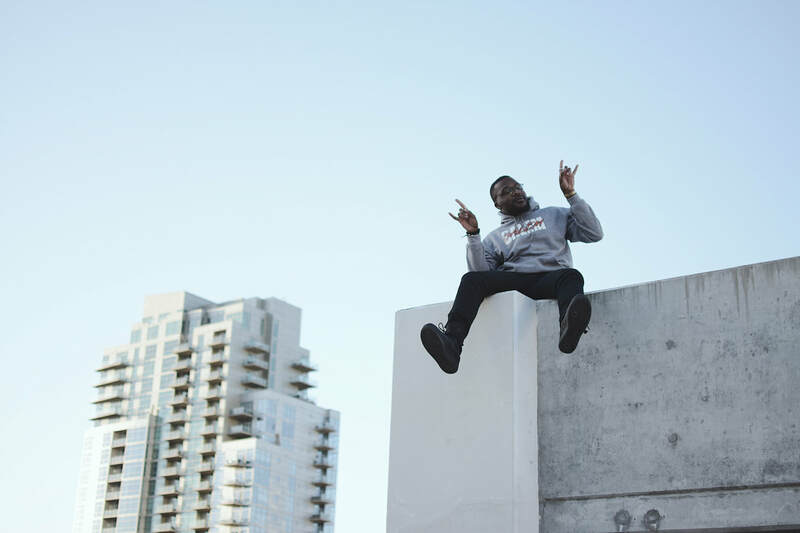 He soon followed up with several more self-produced songs, including “Knight Ryder,” featuring San Diego rapper Cool Jules, and “Bad News,” featuring Agent P.
In 2018, Lew has continued to build upon his resume with continuous singles (“Dustee Sundee,” “Gravity,” and “Reptar”). In addition to music, he launched his official brand, Thunder.Wav. Most recently, he performed an opening slot for GZA at the North Park Observatory in San Diego, CA.